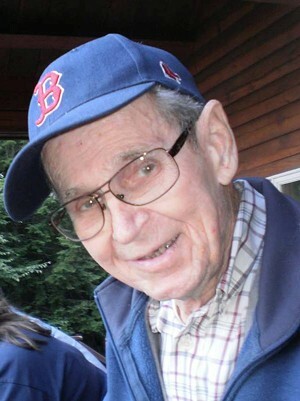 Philip L. Couture, Sr, 91 , a longtime Winooski resident passed away peacefully at the Vermont Respite House surrounded by his loving family. He was born September 14, 1923 to Elphege and Delia (Thibodeau) Couture. He was married to Dorothy Moody on February 1, 1947. Together they raised five children. He proudly served his country as a Sargent in the Army Air Force during WWII. Phil and Dorothy owned and operated Couture's Fuels for 18 years and he retired GS Blodgett. Left to cherish his memory are his children, son Philip Jr and wife Claire, daughter Sherry Kenish and husband Jack, son Randy, daughter Lori Fitzgerald and husband David, and son James and wife Kathy. He is also survived by 13 grandchildren, Karin and Philip III, Mary, Kristi, Julie, Erin and Scott, Laura and Craig, Amy, Adam, and Megan, and Tom, as well as 18 great-grandchildren, and his brother Leo Paul and wife Lucille, sisters-in-law Doris Dame, Patricia Decarreau, Marilyn “Bunny” Conger, and Susan Sabine, brothers-in-law James and Michael Moody, nieces, nephews, extended family, and countless friends. He was predeceased by his wife Dorothy in December 2008, great-grandson Nathan Zuver in 2010, brothers Lionel, Roland, Donald, Richard, and Raymond, sisters Cecile, Theresa, and Eva. A Mass of Christian Burial will be celebrated on Saturday, December 6, 2014 at 11 a.m. at St Francis Xavier Catholic Church in Winooski with internment to follow at St. Francis Xavier Cemetery. Visiting hours will be held Friday, December 5 from 4:00PM to 7:00PM at the LaVigne Funeral Home and Cremation Service, Winooski. In lieu of flowers donations may be made to the Vermont Respite House 99 Allen Brook Lane, Williston, Vt 05495. Online condolences may be shared with the family at lavignefuneralhome.com.